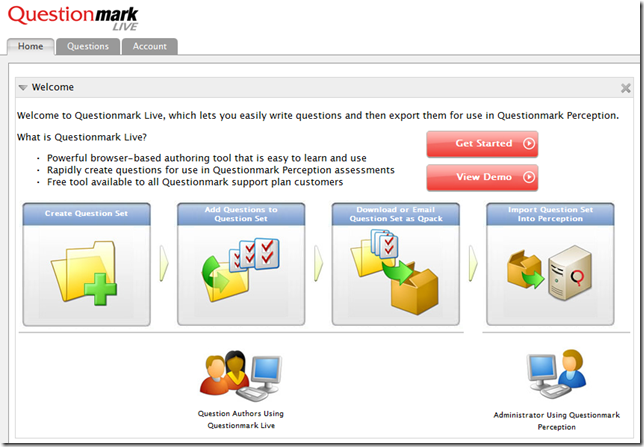 The Questionmark Live team has added dynamic new features to our browser based authoring tool. 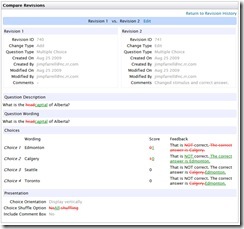 Questionmark Live now offers the capabilities of viewing a question’s full revision history, running a detailed comparison of two revisions, and rolling roll-back a question to a previous version. 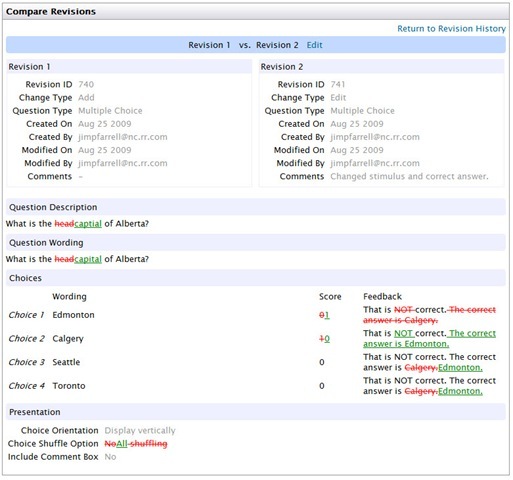 The detailed comparison (displayed below), allows users to see all of the changes made to a question in a familiar format. This release also introduces importing other question types into Questionmark Live. You can now import questions from LXR* in the LXR Merge format and Blackboard* questions in the Blackboard Pool (.zip) and Blackboard Upload (.txt). Keep an eye out for the next release and the ability to import even more external content! 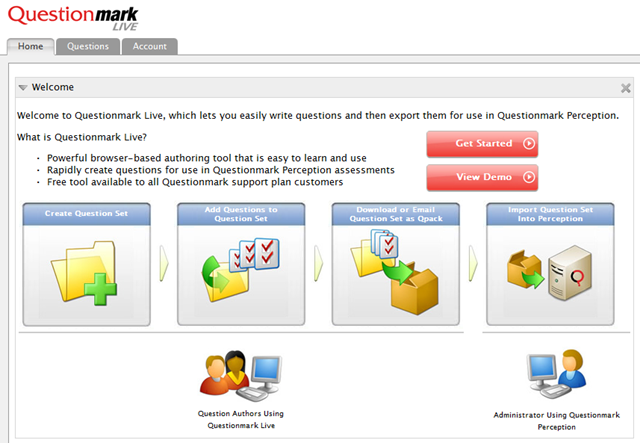 In the meantime, give Questionmark Live a try! *Please note: All names, product names, and trade names are trademarks or registered trademarks of their respective holders. Earlier this month, the number of questions in Questionmark Live passed 14,000. That is an amazing statistic for 3 months. We continue to add new features to this powerful, browser based authoring tool including the ability to add multimedia files to questions. Multimedia allows our users to create real-world scenarios that may include listening to a customer’s voice, watching a delicate surgical procedure, or fixing a complex piece of machinery via an interactive Flash video. Watch this video to see how easy it is to add audio or video to your questions.